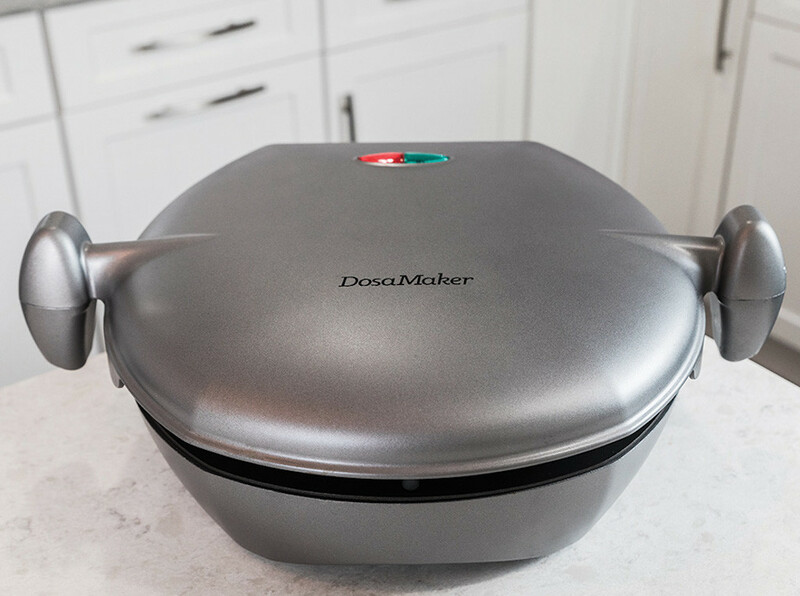 When we started our journey to develop the DosaMaker, we didn’t just want to make an appliance that could make a delicious, authentic dosa and wrap. 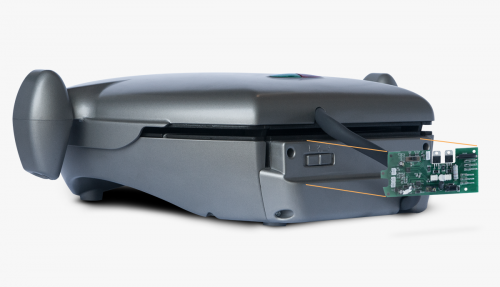 We made it our mission to create an appliance that you would enjoy using everyday. Meet your new partner in eating healthier and feeling better. 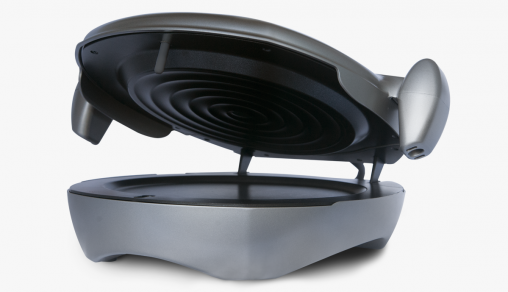 Put DosaMaker in the Elevated Cooking Position, plug in, and wait for the red light to turn off and the green light to start flashing (about 5 minutes). Use the provided Oil Applicator to apply oil to the cooking plates. Pour batter and close. Set the provided timer to your desired cooking time. Open the DosaMaker use the provided spatula to remove your dosa. Enjoy! Repeat Steps 2 to 4 to make more dosas, or if you’re done cooking unplug your DosaMaker, allow to cool down, and simply wipe plates to clean. 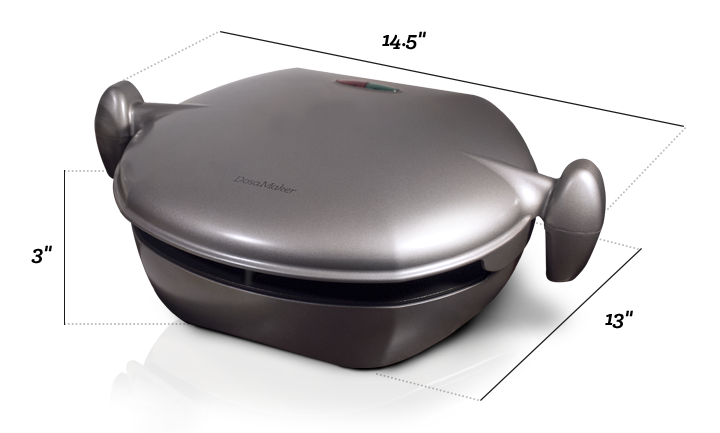 "The DosaMaker has been a great way for my family to eat more fruits and vegetables. I've blended spinach, kale, beets, strawberries, and bananas in the batters I've made, and the wraps are so easy to make." "I've always had a hard time making dosas by hand. 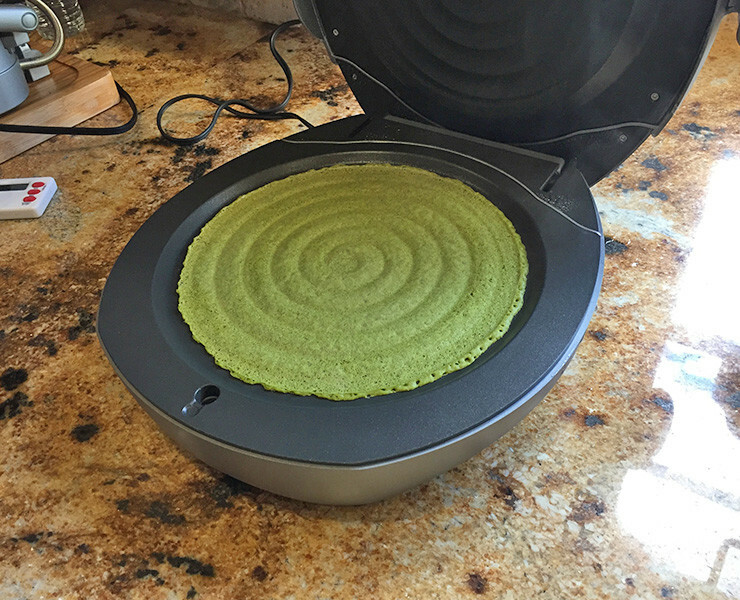 With the DosaMaker I can make a thin, crispy dosa every 2 minutes. 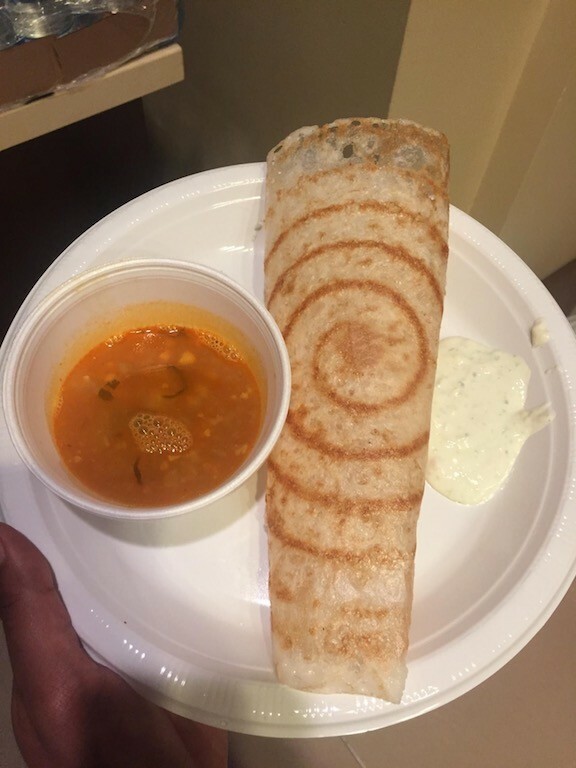 The dosas roll perfectly and taste great. I make dosas all the time now!" 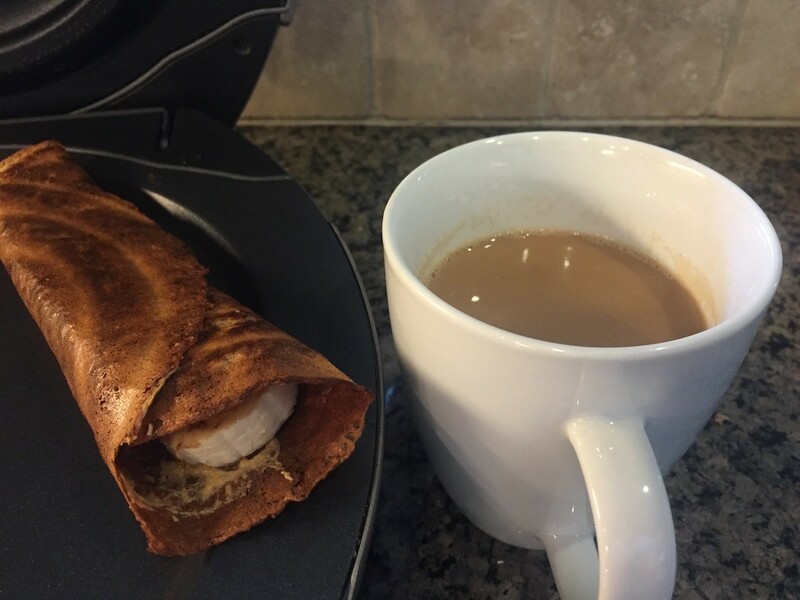 "I love using the DosaMaker to make a quick, healthy breakfast. I blend the batter the night before, so in the morning I can make my breakfast in under 10 mins. And if I'm running late it's perfect to eat on my way to work. " We love this question because it means we accomplished our goal of designing an appliance that is familiar and simple to use, even though there’s a lot going inside. Here’s what makes the DosaMaker a one-of-a-kind addition to your kitchen. 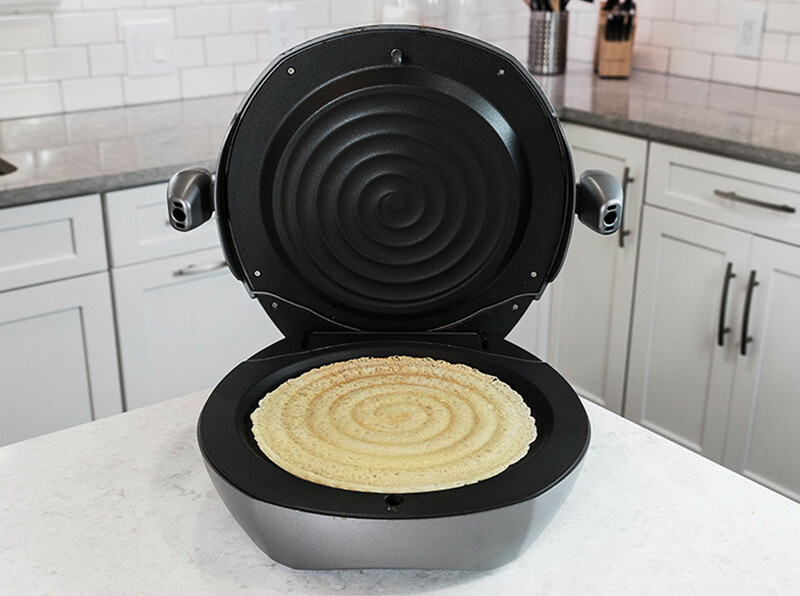 Our patented closing mechanism assists you in closing the DosaMaker, so you can consistently create evenly spread dosas. 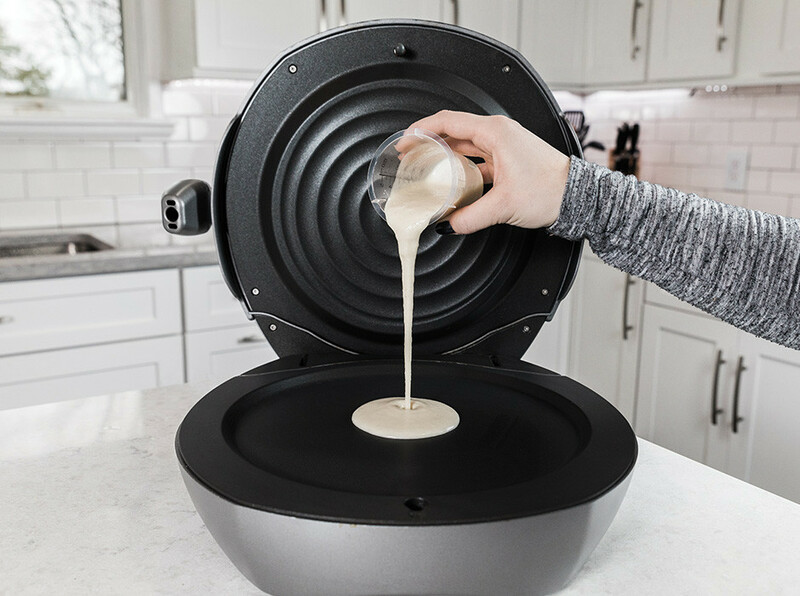 Just pour batter, bring the lid forward into the elevated cooking position, and then gently slide back and lower the lid onto the batter. Making dosa is now that simple. 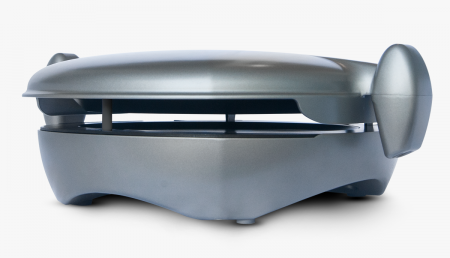 In the elevated cooking position the top cooking plate does not contact the dosa, so you can cook or warm your favorite fillings. Create an egg dosa by cooking an egg directly on top of your dosa, melt cheese for grilled cheese dosa, or warm-up potato masala for a traditional masala dosa. Create dosa with an authentic, handmade texture. 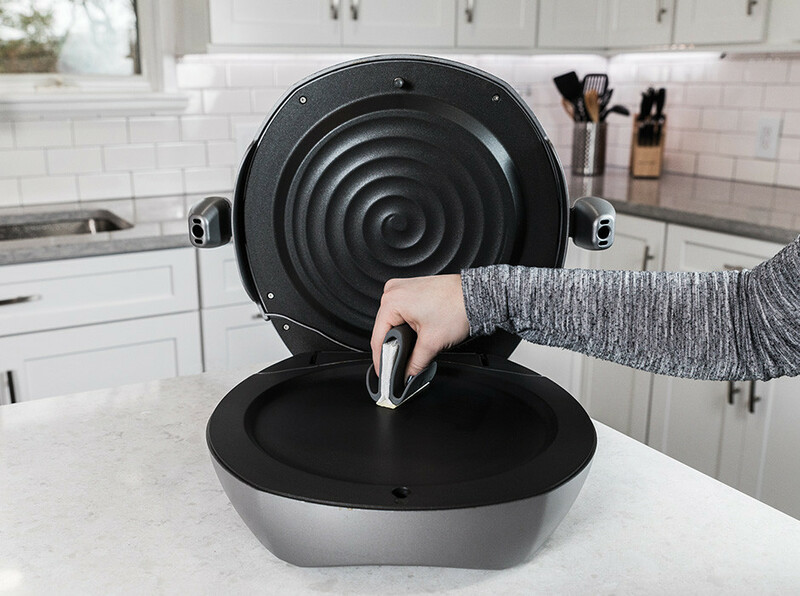 Our spiral pattern creates the ridges that form when traditionally making a dosa by hand, and our floating hinge design allows the lid to rise. 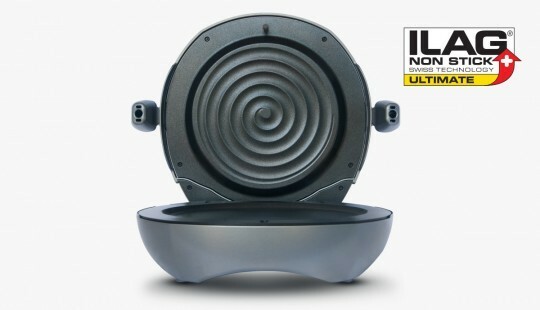 We have partnered with ILAG Swiss high performance coatings to develop an advanced non-stick cooking surface, so crispy dosas can be made with very little oil. Less oil = healthier dosas. Our software-based temperature controller uses a proprietary algorithm to automatically manage temperature, while precision sensors monitor the cooking surfaces. Just select the temperature (low, med, or high) for the batter you are using and let the DosaMaker handle the rest. 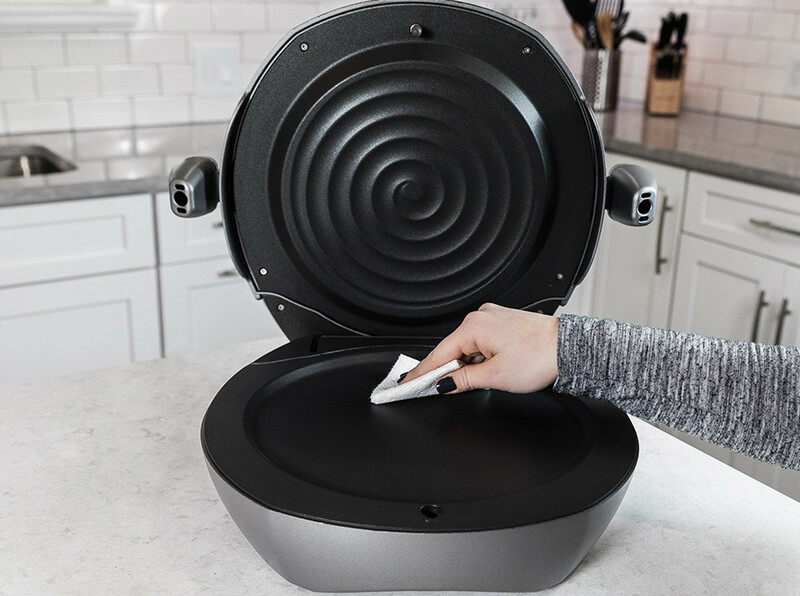 No more cooling your pan with water between dosas, or burning a dosa because the surface is too hot.